The Philadelphia Phillies and Washington Nationals have agreed to terms on a trade that will send closer Jonathan Papelbon to Washington in exchange for RHP Nick Pivetta while also sending cash considerations to the Nationals, general manager Ruben Amaro Jr. announced. The 34-year-old Papelbon has pitched to a 1.59 ERA with 40 strikeouts against just seven unintentional walks in 39 2/3 innings. For his career, he owns an ERA+ of 186 and is 12th on the all-time saves list with 342. 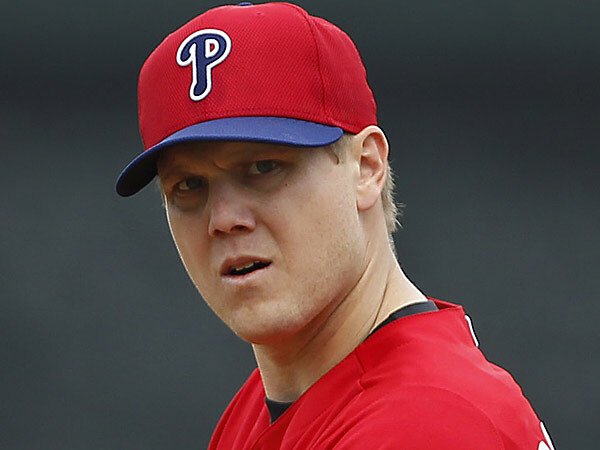 Papelbon is owed the balance of a $13-million salary for 2015. As for 2016, his contract contains a $13-million vesting option. Papelbon wanted out of Philadelphia as do many of his team members, the Phillies has to right the right deal to make it happen. He repeatedly said he’d not come to Philadelphia to lose, which is precisely what they have done. The Phillies are looking to move Cole Hamels before the deadline and have reportedly asked teams that are interested to submit proposals no later than Wednesday. The Texas Rangers are said to be the frontrunner. The Astros are legitimate suitors for Phillies left-hander as well. Hamels, who is under contract on a relatively good deal through 2019, owns a 3.64 ERA, 1.18 WHIP, and 137/39 K/BB ratio in 128 2/3 innings this season for the 37-63, last-place Phillies.